Kits supplied with your choice of button or plunger type primer. 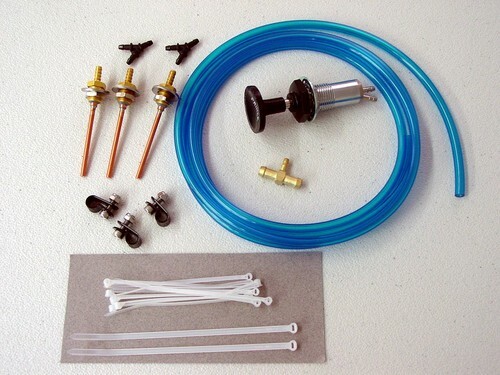 Triple kits include custom high flow T fitting to ensure no fuel flow reduction. All kits supplied with quality Tygon fuel rated tubing. This tubing will not harden in a few years like some other, and can be removed without cutting.